Silestone® by Cosentino consists of more than 93% natural quartz, with the weight and feel of natural stone. Silestone® is one of the most hygienic surfaces on the market, with a unique bacteriostatic property in all Silestone® products developed by the Cosentino Group R&D department. This property provides extra hygiene protection throughout the life of the product in any application. 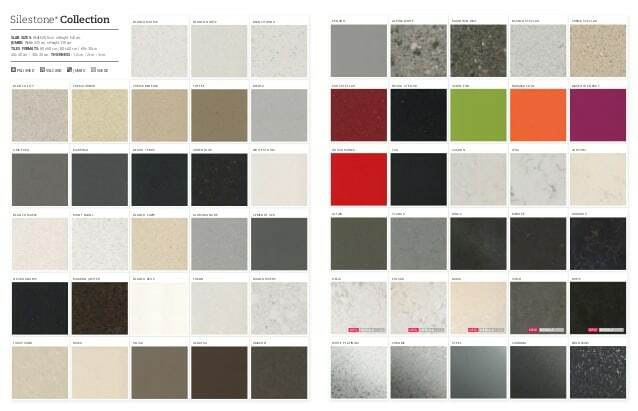 Silestone® is available in more than 60 colors, three textures and several different formats. This high-tech material is also highly resistant to stains, knocks and scratches, and has a low level of fluid absorption. Thanks to these special properties, and Cosentino’s 15 year guarantee, Silestone® surfaces are perfect for the kitchen, bathroom and other demanding areas in and out of the home. With the aim of being adapted to your style, Silestone offers you different textures to any of your chosen applications. Polish, Suede or Volcano are three possibilities that make your imagination fly and have your worktops, flooring or walling with the texture that you have always wanted. It’s the original Silestone® polished quartz surface. The look and feel that stands the test of time. With glimmering radiance and the smooth feel of natural stone, Silestones original polished surface remains popular throughout the world. This deep and pure surface shows Silestone quartz with elegance and clarity.